You know those summer thunderstorms we used to have? You’d be sitting out in a warm garden somewhere, sipping something cold and white, looking at lightning flashing on the horizon and counting the seconds until you could hear the thunder. Well, it’s like that now, only the gap between the flash and the rumble is getting smaller and smaller. The thunder is coming and it’s getting close. The immediate issue is another round of credit downgrades. Moody’s this time: downgrading 16 Spanish banks, 4 Spanish regions and even the large and robust Santander UK. These are rumbles that should scare us all. 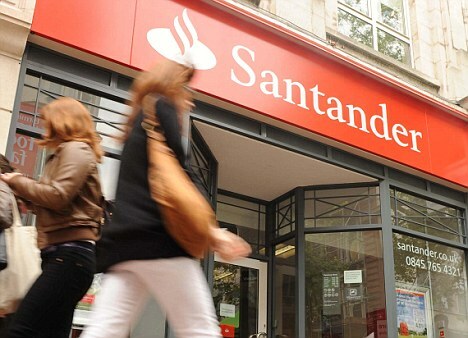 Not that you’re at much risk if you have money with Santander in this country. For one thing, unless you have more than £85,000 on deposit, your funds are insured by the full faith and credit of the British government itself. For another thing, Santander UK operates under a UK banking license. It is the Financial Services Authority’s responsibility to ensure that Santander UK maintains adequate capital to operate its British businesses. But that’s the good news. The bad news is bigger, vaguer and scarier. Greece is, in my view, heading for financial collapse and an exit from the euro. If that happens, I don’t think Spain will be able to fund the borrowing its government relies on. Even if Germany wanted to bail Spain out (and it does not), it cannot and will not and doesn’t have the resources to do so anyway. And although Spain is in the spotlight today, the other countries of southern Europe – Portugal, Italy, France – have been tiptoeing awkwardly in and out of the spotlight, like the reluctant contestants of a Most Ugly contest. The ECB has been weakening its credit criteria in a vain attempt to put off these problems, but it’s – as ever – the wrong policy choice: it’s like ‘solving’ a cash-flow problem by borrowing from a loan-shark known to have multiple convictions for violence. Sure, you get some breathing room, but then what? The single currency euro can’t survive these strains. I don’t know how and when the end will happen, but in a few years time the euro will not exist in anything like its current form. What will the costs of collapse be? How will they impact Britain? I don’t know, but it won’t be good. Nor is it as though the eurozone is the only problem this island faces. 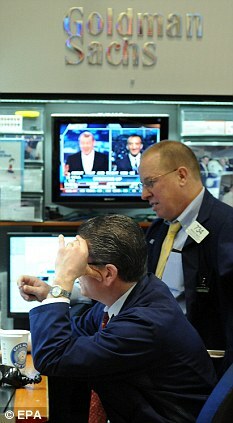 Take the recent loss by JP Morgan of $2 billion and more. JP Morgan is supposedly a very well managed bank: one of the best there is. But it can still lose scary sums of money, seemingly without oversight. That money was lost in the dark recesses of a complicated financial market (I believe the corporate CDS one, in thiscase) that few outsiders truly understand. And if JP Morgan can lose big, other banks are quite likely losing worse. In the United States, the fiscal brakes are about to get jammed on in the crudest and least considered of ways, unless politicians can put aside their partisan differences and agree to make changes in a common cause for the good of thecountry … which will never happen. It’s significantly more likely that Paris Hilton will get elected President this autumn, and she’s not even running. Meantime, the Federal Reserve does what it can to manipulate interest rates to historic new lows while debasing the dollar, as though the eurozone hadn’t rung some alarm bells on the excess-credit /weak-lending-standards front. All this sounds doom-laden and complex – but that’s not the case. It’s doom-laden and simple. The world took on far too much debt. (You can read the full story of these global problems in my book, Planet Ponzi.) But if you want the one-sentence summary: instead of letting bad loans go bad and making stupid creditors lose money, the world tried to avoid the problem by deferring it. But the more you defer the loan shark, the more money you owe him when he comes. He’s here now. That thunder on the horizon? It’s him. And he’s getting closer. This was published in today’s Daily Mail. OK, I agree with everything you say, but what are we supposed to do while we wait for this all to unwind – sell our houses and buy gold sovereigns? start planting potatoes?